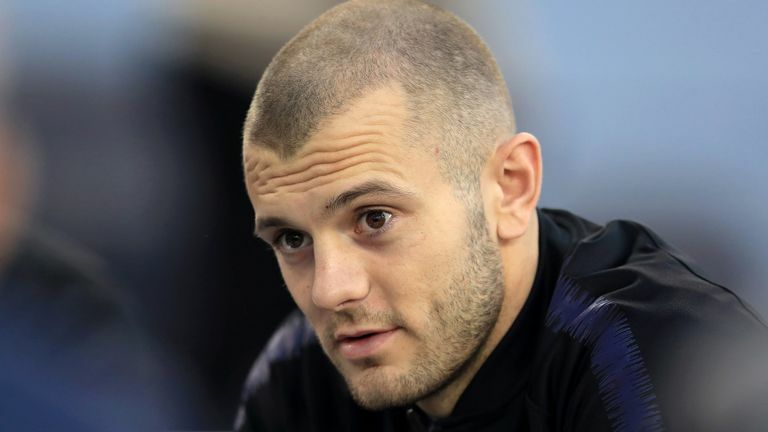 Wilshere explained his decision to end his 17-year association with Arsenal was because he had been informed by new head coach Emery his playing time would be “significantly reduced”. The 26-year-old revealed he even agreed to sign a financially reduced contract after several months of negotiations in order to commit his future to the club – and this remained when Emery succeeded Arsene Wenger as manager. He has since signed for West Ham on a three-year deal. Emery said he would prefer to keep his talks with Wilshere private, but explained his unwillingness to assure the midfielder of a place in his starting line-up. “It was a tactical, technical decision,” said Emery. “The conversation with Wilshere was a very good conversation. I explained to him my opinion and how I will want to create the team and not sure [I could] say to him he’s going to play in the XI. “Also he explained to me the decision is not easy for him but he wanted to choose the best option for him. Every time it was with respect. Wilshere missed out on a place in Gareth Southgate’s England squad for the World Cup despite making 38 appearances in all competitions last season and consistently maintaining he was “fit, sharp and strong”.